Need a Chill Pill? Try This Natural Way to Relieve Everyday Stress! Do you ever feel sad or irritable for no reason? Do you tend to worry or have persistent anxious thoughts? To a large extent, your mental state is affected by your brain chemistry. The brain uses various messenger substances (neurotransmitters) to regulate mood, behavior, and other mental functions. When your brain transmitters are balanced, you can think more clearly, feel happier, and experience greater well-being. Proper neurotransmitter balance is essential for living a brain healthy life. The better your transmitters work with each other, the closer you are to having optimal mental function, which is especially important when stress reaches an unhealthy level. Contrary to popular belief, not all stress is bad. A little bit of stress is actually good because it can motivate you to meet your goals. Low level stress can also help you with resilience, problem solving and adapting to everyday challenges. 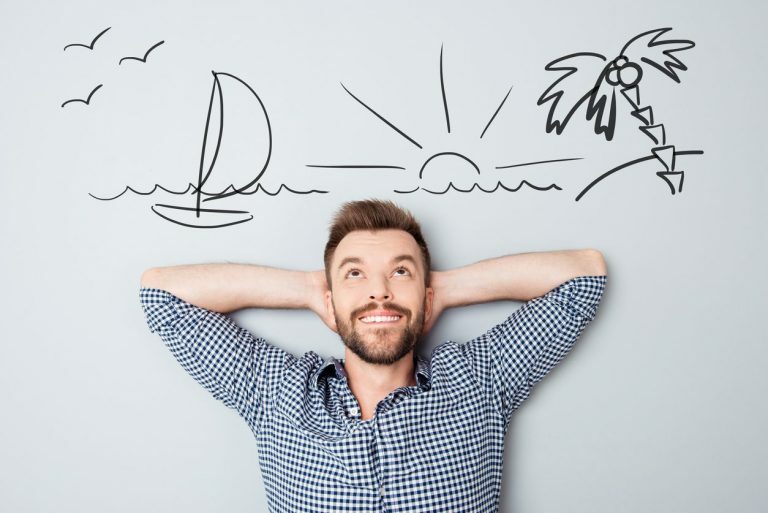 Unfortunately, when people have too much stress in their life, they often turn to unhealthy ways of dealing with it; such as using alcohol, illicit drugs, or food to feel better. However, these choices can end up doing more harm than good. Lack of sleep often leads to illness, which makes it that much harder to accomplish everything on your to-do list. To ensure that you have the energy you need to keep up with a hectic schedule, it’s recommended that you get 7-9 hours of sleep each night. Sleep is an effective way to reduce stress, feel more energized, and focus on the positive things in your life. 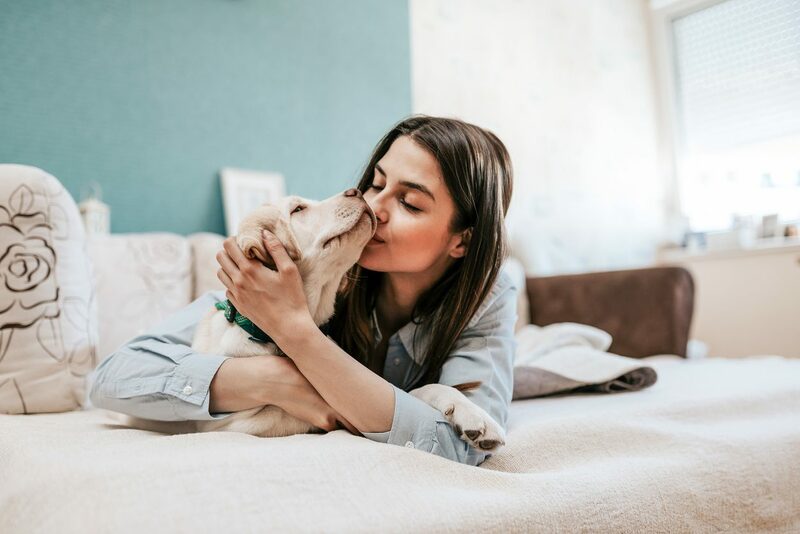 Spending time with your pet has been shown to promote calmness by increasing levels of the stress-reducing hormone oxytocin and decreasing production of the stress hormone cortisol. Owning a pet that needs to be walked means you’ll get outside for fresh air and sunshine, which can lower your blood pressure, reduce your stress, and perhaps even help you lose weight. Social connections are incredibly important to your overall health and well-being. Never underestimate the power of community. The health habits of the people you spend time with can have a dramatic impact on your own health. Surround yourself with people who are happy, upbeat, and kind. Making healthier choices in your diet can benefit your waistline, help lift your mood, and provide a long-lasting increase in energy and focus. Your brain requires foods that are high in vitamins, essential minerals, and other nutrients to help meet its huge energy requirements throughout the day. Add these stress relieving, good mood foods to your next grocery list. 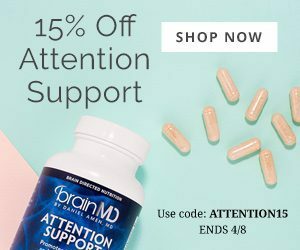 Magnesium is an essential mineral for all the cells of the body, and is fundamental for the electrical activity of the brain’s nerve cells and for the healthy functioning of their trillions of information connections (synapses). Surveys by the U.S. Centers for Disease Control and Prevention indicate magnesium deficiency is widespread. Magnesium lowers irritability while promoting calm, balanced and mentally focused demeanor. In a double-blind clinical trial, this patented blend of Magnolia officinalis and Phellodendron amurense extracts helped to lower occasional anxiety, including feelings of apprehension, tension, nervousness and worry. Relora® also can enhance healthy regulation of the stress hormone cortisol, while easing anger, fatigue, negative mood, and confusion. Holy Basil or Tulsi (Ocimum sanctum) is an herb that’s been used in the East for over 3,000 years. 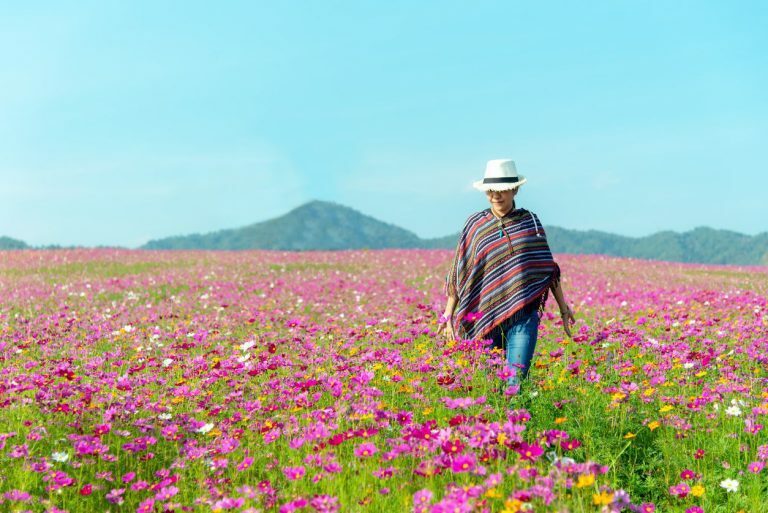 It’s revered in the Indian Ayurveda tradition as “The Queen of Herbs.” In clinical trials, it improved adaptation to problems associated with stress, including occasional anxiety, forgetfulness, lowered attention, feelings of exhaustion, and frequent sleep problems. This vitamin-like conditionally essential nutrient is concentrated in electrically active tissues such as the retina, heart, and brain. Taurine is important for energy generation and is a protective nutrient for all the tissues, including the adrenal glands which are crucial for coping with stress. Extensive clinical research links this amino acid with the health benefits of green tea. It enhances relaxing alpha brain wave activity, reduces tension, and fosters a restful state without diminishing daytime alertness. It also promotes healthy blood pressure stability against the over-excitability associated with stress. To stay healthy in today’s fast-paced world, you need to be resilient to stress. Everyday Stress Relief replenishes your body’s levels of magnesium and taurine, which can help you cope during times of excessive stress. In addition to these nutrients the formula supplies high-quality standardized herbal extracts clinically proven to help support your body’s response to stress on multiple levels. Many relaxation supplements can make you sleepy, but not Everyday Stress Relief. It’s completely safe, non-sedating and non-habit forming. Everyday Stress Relief can help you stay calm so that you can enjoy the good things in your life. 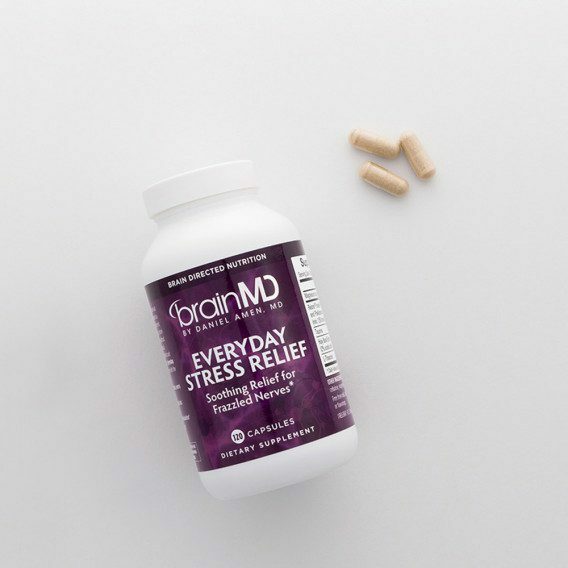 For more information about Everyday Stress Relief and our full catalog of brain healthy supplements, please visit the online store at BrainMD.